One (1) part-time Life Safety Specialist III, City of Newport Beach (CA). Candidates are encouraged to apply quickly as the application period may close art any time. Fire Chief, City of Anaheim (CA). Application Deadline is May 6, 2019. Director of the Office of Emergency Management, Santa Barbara County (CA). Application deadline is May 7th at 5PM. Deputy Chief, Operations, El Dorado Hills Fire Department (CA). Application deadline is May 23, 2019 at 1600 hrs. Fire Chief – Fire Warden, San Bernardino County Fire (CA). Open until filled. Candidates are encouraged to apply early. First review of applications will occur June 7th. Firefighter/Paramedic, San Ramon Valley FPD (CA). Application period is open until filled. 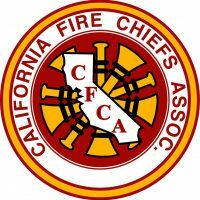 Part-time Community Risk Reduction Officer I, Anaheim Fire Department (CA). The recruitment is continuous with a first review on Tuesday, May 7, 2019.